Bill Williamson is back in the final chapter of the RAMPAGE Trilogy. In part 2 he said we need to KILL THE RICH and RIP WASHINGTON APART and this is exactly what he is doing in PRESIDENT DOWN. 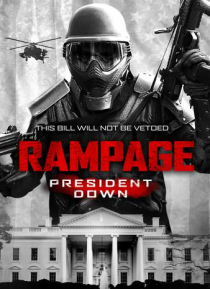 He shoots the President of the USA and the biggest manhunt in the history of America starts and ends in a spectacular showdown. Nonstop action is guaranteed in this thriller about domestic terrorism.